We can produce technical drawings ranging from ceiling grids including lighting layout and PIR positions. 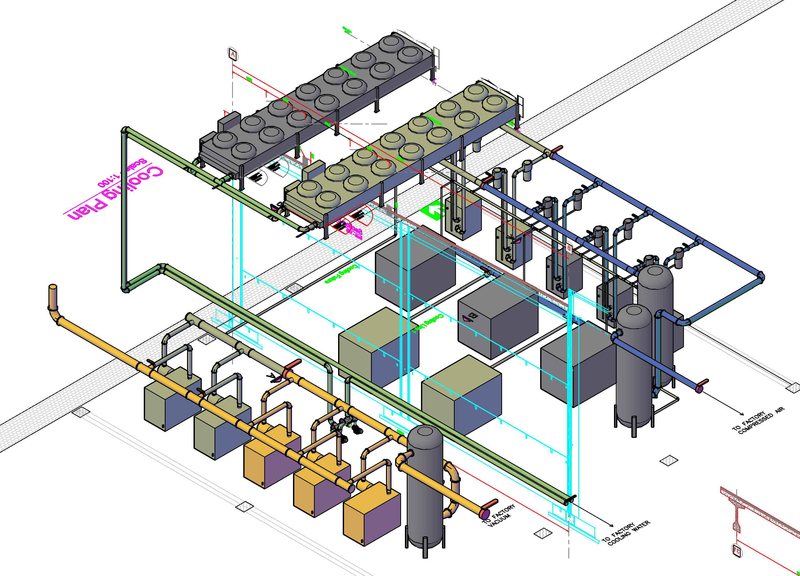 Pipe layouts for compressor companies and conditioner instillation teams, Working on projects around the world, giant manufacturing plants and large household names such as Coca Cola, These layouts are used by contractors to plan out where to put such things, so they must be extremely precise, with no room for error. Black Cherry Design have done these types of drawings for well established companies, who have then forwarded our work to leading high street names, such as Toys-R-Us.